Including recordings that you can listen to while in labor. The Birthing Through Hypnosis Method provides you with a clear process and basic instructions on how to prepare your body, mind, and spirit for the birthing of your baby. This Method includes many essential tools and simple techniques that you will be able to learn, practice, and master before your baby’s birth. Many couples report that the Birthing Through Hypnosis Method helped them to have an empowering and serene birth experience. 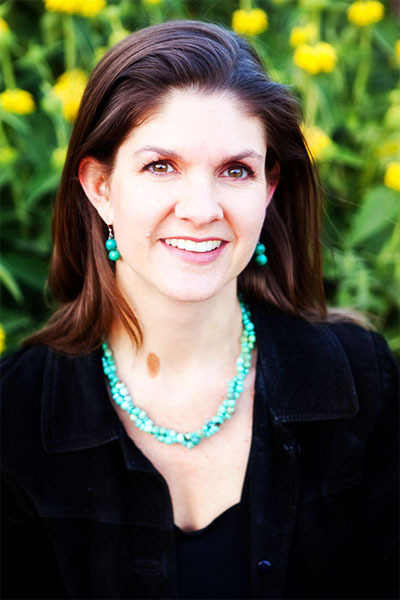 The Birthing Through Hypnosis Method has been created by and is taught by Kristin Nemzer, a Marriage & Family Therapist, Hypnotherapist, Childbirth Educator, Wife, and Mom. 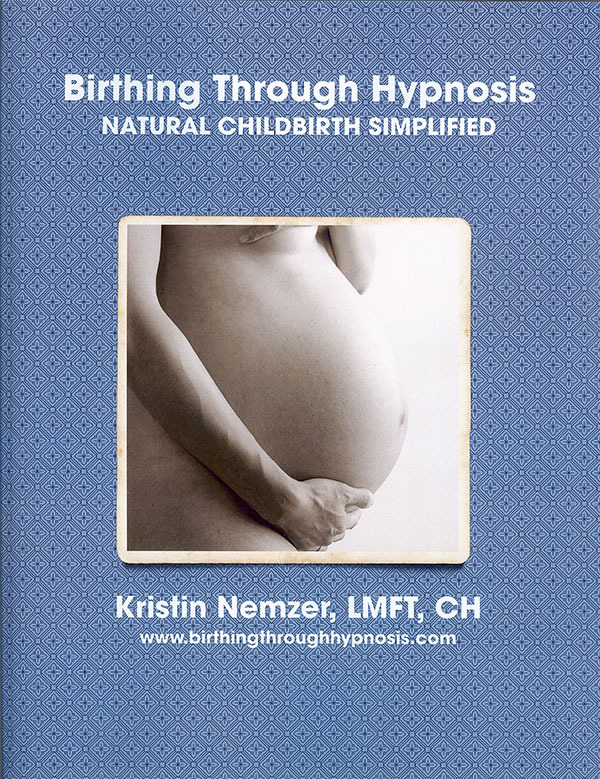 The Birthing Through Hypnosis Manual by Kristin Nemzer. The Birthing Through Hypnosis Manual has been written by Kristin Nemzer based on the Birthing Through Hypnosis childbirth classes she has been teaching for many years. The manual is 140 pages long and is packed with valuable information and beautiful images. You will find yourself repeatedly reading and referring to this manual during your pregnancy. Viewable on all PDF compatible devices. The head to toe relaxation is one of the simplest and easiest relaxation exercises that you can do during labor. The intention of this relaxation exercise is that the mother becomes relaxed throughout her body. The rainbow chakra meditation is a relaxation technique that connects the mother-to-be with her body, color, and light. This Eastern Tradition teaches that we have seven centers of spiritual energy in our bodies. These energy centers align in a column from the base of the spine to the top of the head. The intention of this relaxation exercise is to relax the mother throughout her body while she listens to this meditation. This audio track will allow you to release any birthing fears you may have. Releasing your fears before labor can allow you to have a catecholamine-free birthing experience. This audio track will help you practice the top-down breath. This breathing technique is suggested to be used during contractions in the second stage of labor. Repeat this short audio track many times as you practice this technique. Please listen to these instructions before listening to either the Mock Birth Solo Practice audio track or the Mock Birth Practice with Birth Partner audio track. The instructions will help you get the most out of those two practice exercises. The intention of this relaxation exercise is that the mother uses her five senses (sight, smell, touch, taste, and hearing) to go on a vacation in her mind and body. The Sacred Birthing Circle audio track is a relaxation technique that connects the mother-to-be with the power of being a woman. The intention of this relaxation exercise is to have the mother relax physically, mentally, and spiritually while gaining strength and trust in her body. This audio track will help you practice the balloon breath. This breathing technique is suggested to be used during contractions in the first stage of labor. Repeat this short audio track many times as you practice this technique. The mock birth exercise walks you through timed contractions that range from 30 to 90 seconds. This exercise will help you incorporate what you have learned about labor with the Birthing Through Hypnosis techniques. This exercise can be practiced alone or with your birth partner. The mock birth exercise walks you through timed contractions that range from 30 to 90 seconds. This exercise will help you incorporate what you have learned about labor with the Birthing Through Hypnosis techniques. This exercise is designed to assist you in practicing the techniques with your birth partner. Purchase these items collectively or individually. All items available for immediate download! Many of the participants who have used the Birthing Through Hypnosis Method have had incredible birth experiences. I receive many inspiring birth stories every week expressing how much pregnant moms and partners who took part in the course benefited from their participation. My husband and I studied your Birthing Through Hypnosis techniques while I was pregnant with my son. It worked so well I used the technique again for my daughter, just born 3/22. Please feel free to use this story anonymously if it gives other expectant mothers encouragement and reassurance. Your class helped me greatly to reduce my fear of childbirth and gave me a great tool to take control of my birthing experience. With your help, I delivered both my children without too much pain or trouble, relatively quickly and easily and with no pain medication. In both cases, my birth experiences were better than I had hoped. Thank you! I just want you to know that my labor was really wonderful! It was the most amazing experience of my life! It lasted 32 hours and my baby was posterior, but we did it completely naturally and we got through it because we were focused and stayed positive. We played the Birthing Through Hypnosis audio tracks the entire 32 hours! Thank you for making your class available to us. My son entered this world peacefully and I thank you!